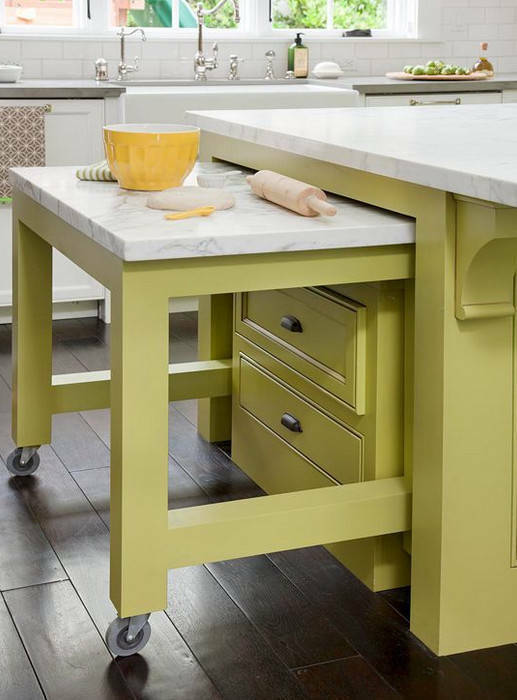 There is no need to buy a separate dining table and chairs — they can be easily built into your kitchen unit. 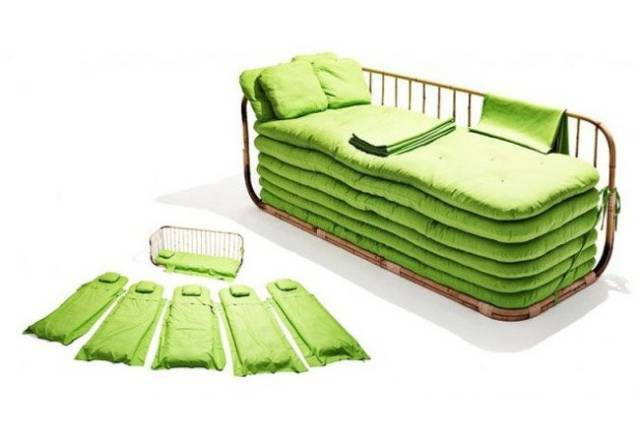 A 2-in-1 sofa bed can easily make sleeping space for 5 more people. 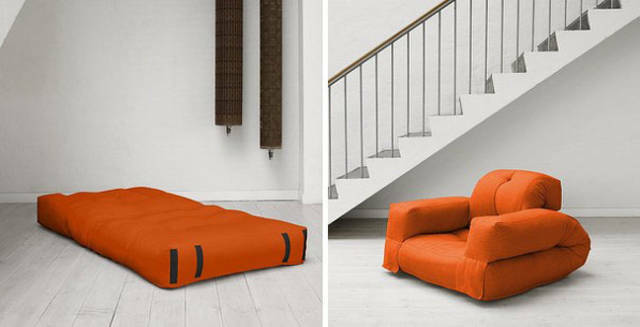 A combined mattress-seat will help save space in your sitting room. 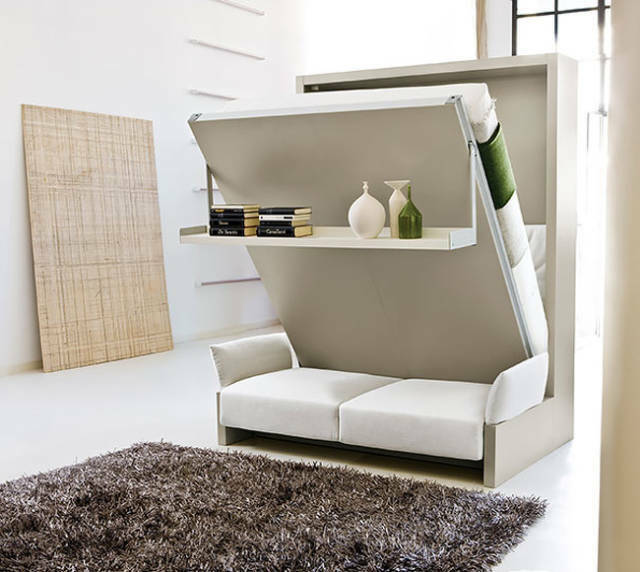 A folding wall-bed can serve as a bed, sofa, and a shelf. Separate cells will help prevent your jewelry from tangling. 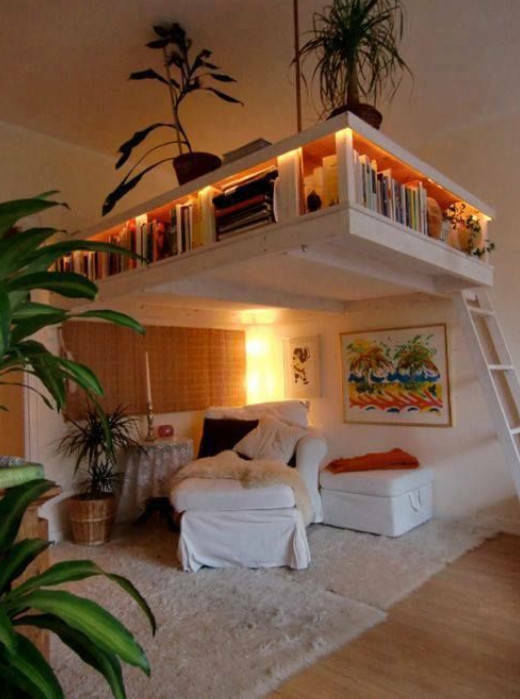 Your cozy nest can be filled with your favorite books and flowers — it will set a pleasant atmosphere. 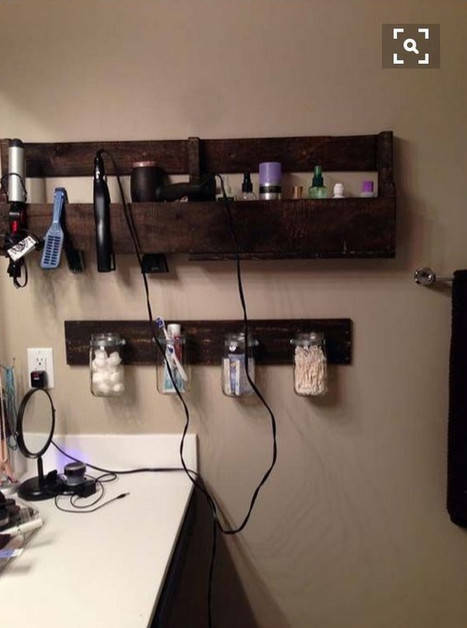 Leaving a hair straightener on a wooden shelf for cooling down is more convenient. Also, cotton buds will always be within reach. 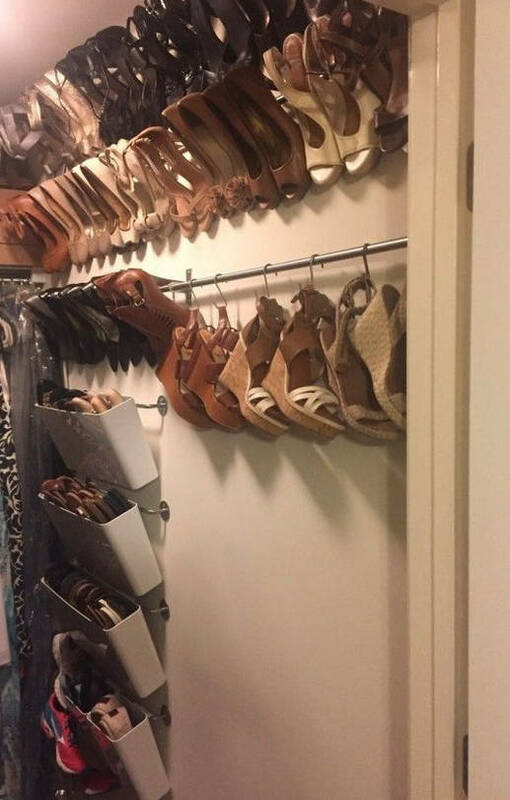 Shoes are in one place and they are not scattered on the floor. 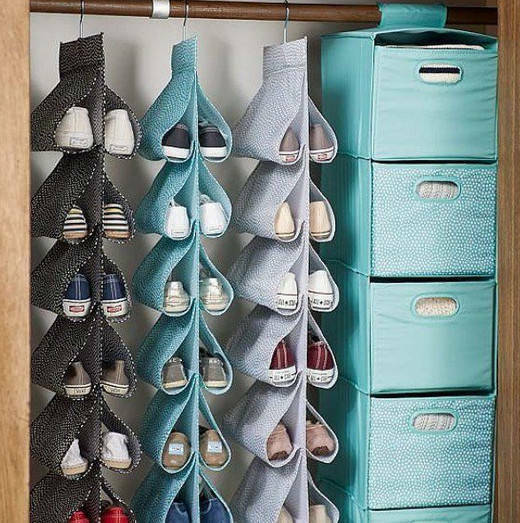 Just a few stitches on a piece of cloth and a great hanger-organizer is ready for the convenient storage of shoes. 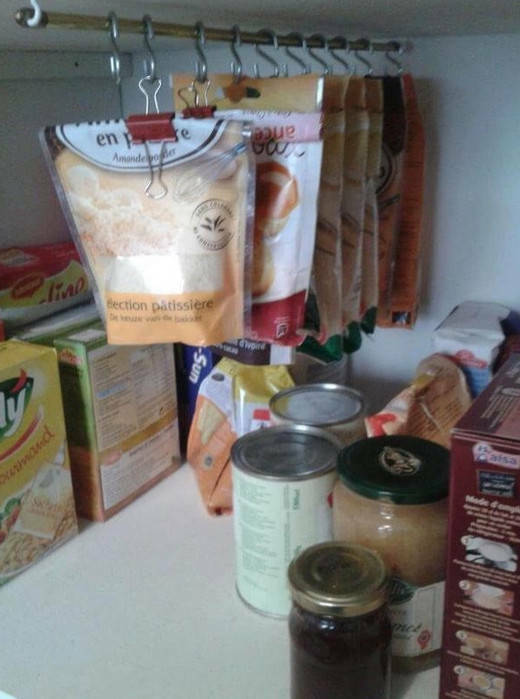 Binders and hooks will help organize your spices in the most convenient way. 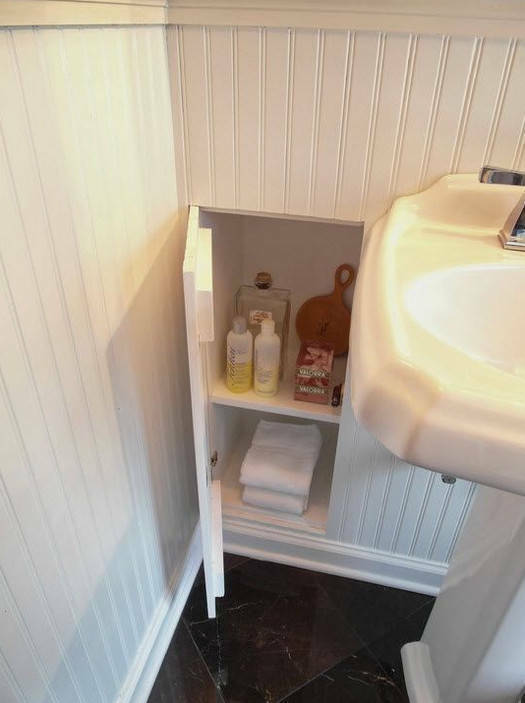 An invisible door with a secret locker for the hostess’s secrets. 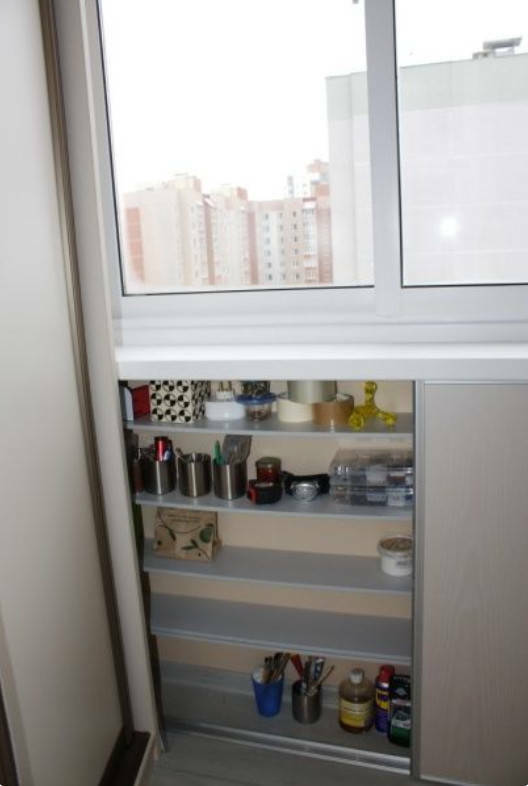 A stylish and small kitchen where every little thing has its own place. 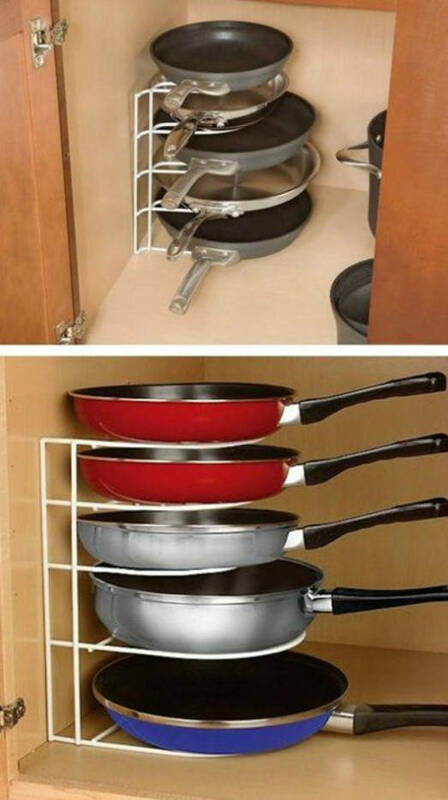 Frying pans now take up less space thanks to a clever stand that can be placed under the sink. 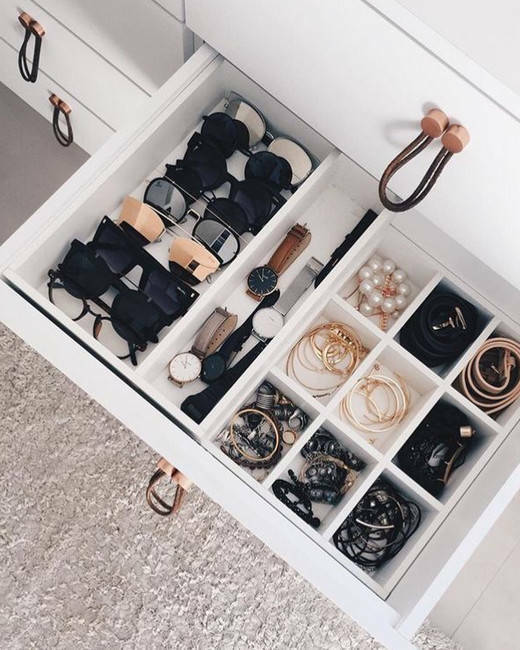 Drawers will save space for pots and keep them in excellent condition. 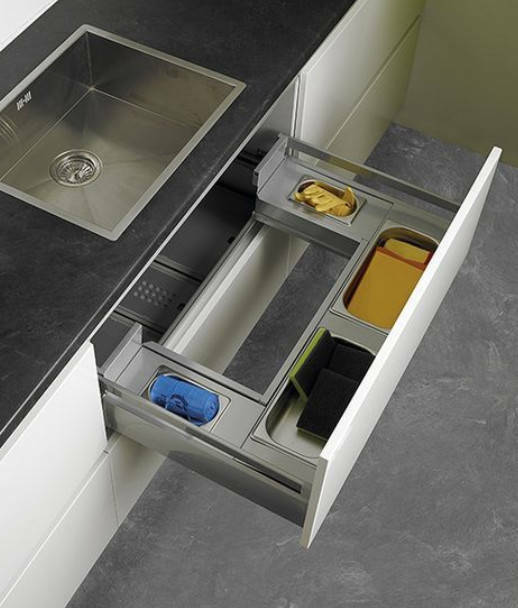 Washcloths, gloves, and sponges in the kitchen will no longer “please the eyes” of your guests thanks to the drawer under the sink. 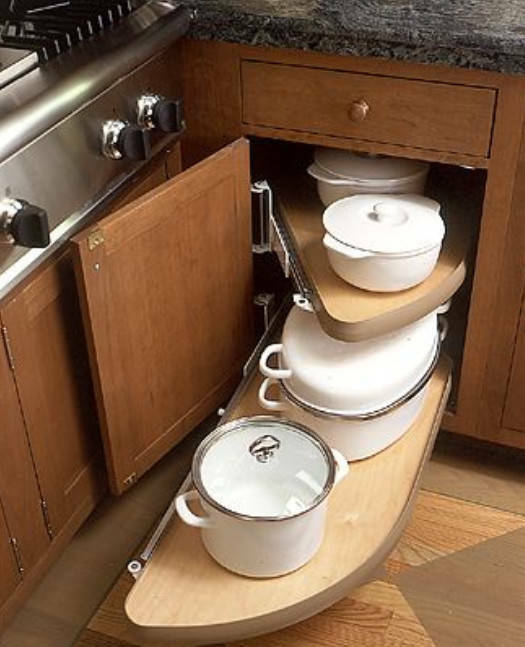 Extra space in the kitchen is never superfluous. 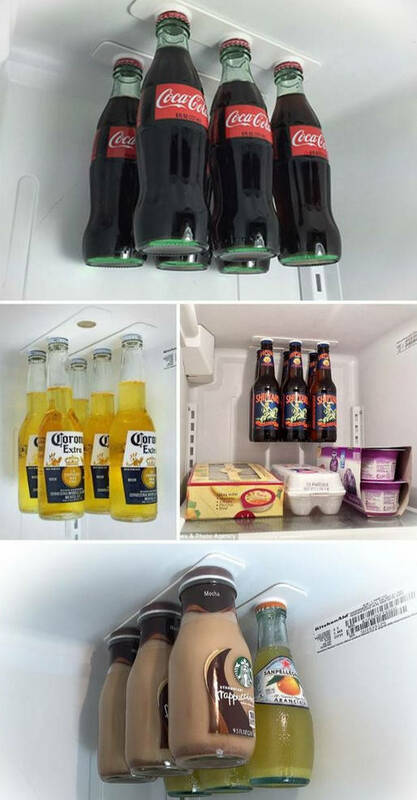 The magnetic bottle holder will free up space on the shelves in your refrigerator. 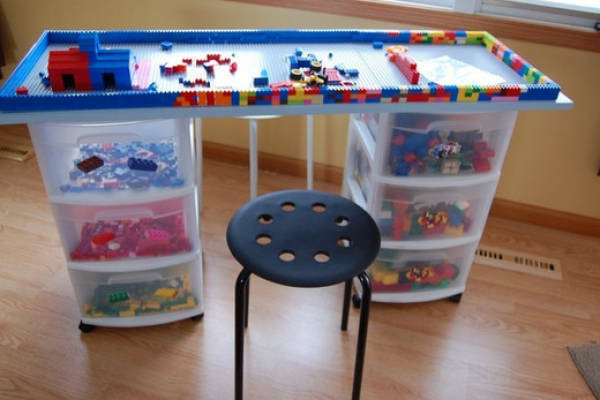 A great way to decrease the probability of stepping on a Lego piece. 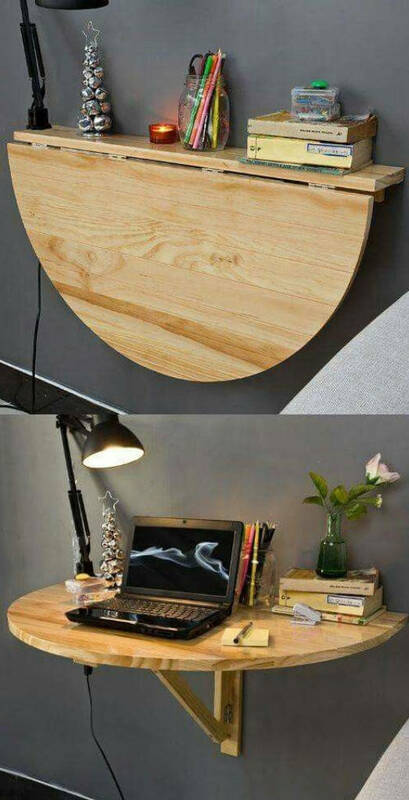 Use the workplace only when you need it and you can hide it when you don’t need it. 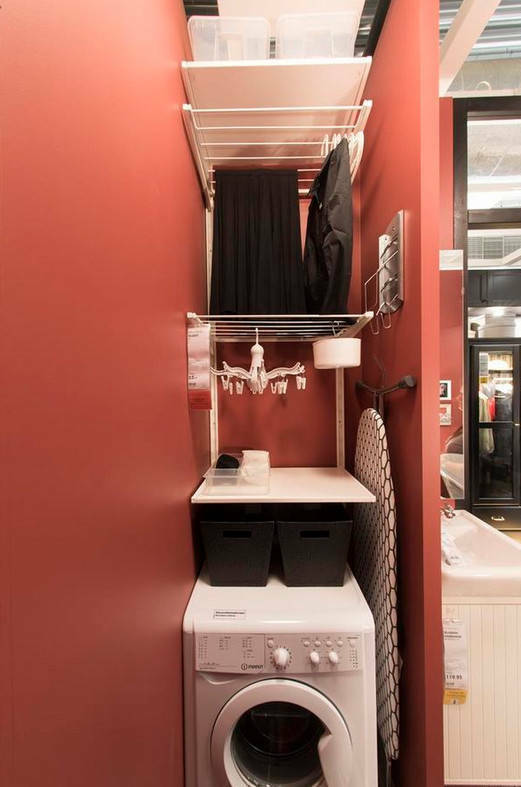 The washing machine niche can be equipped with a clothes hanger and an ironing board. 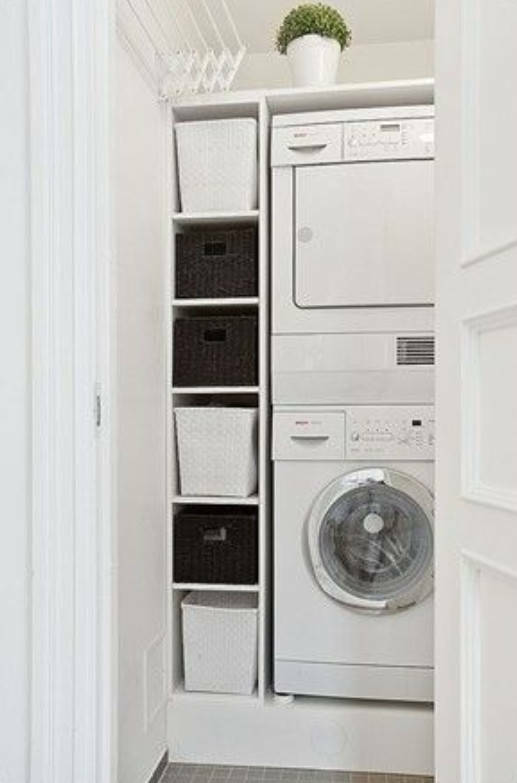 A small gap between the wall and the washing machine can be filled with a shelf with baskets for sorting the laundry. 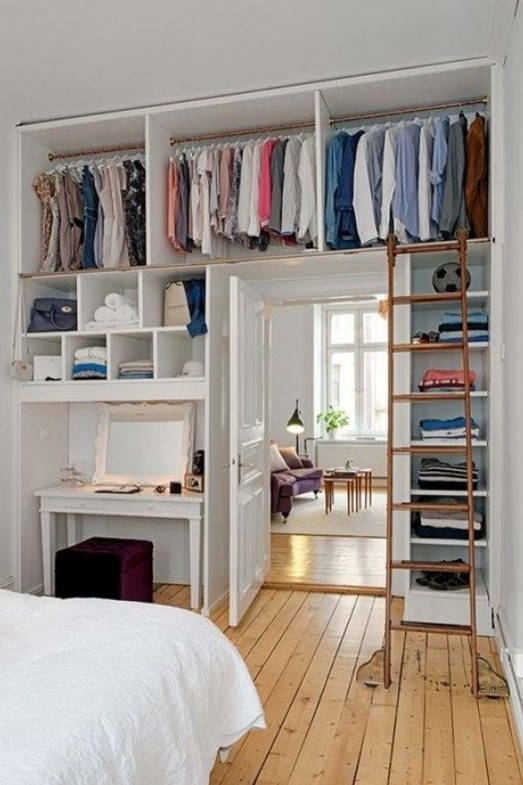 Does your wardrobe take up a lot of space? 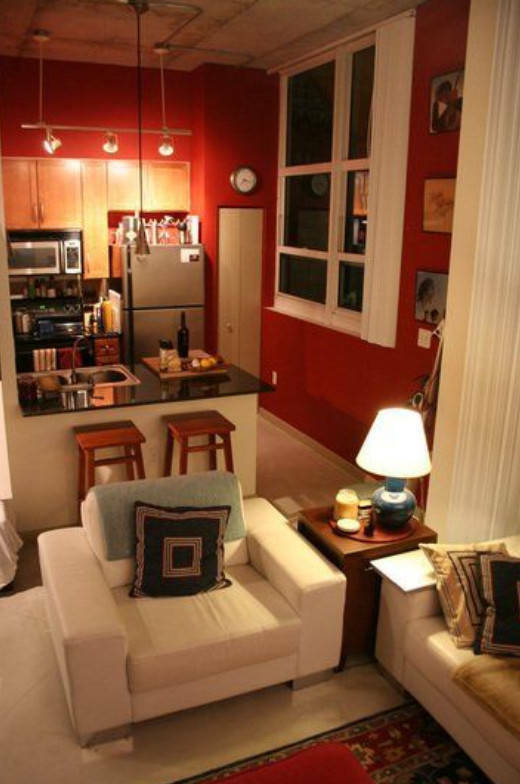 High ceilings can be of a great help if you use them properly. 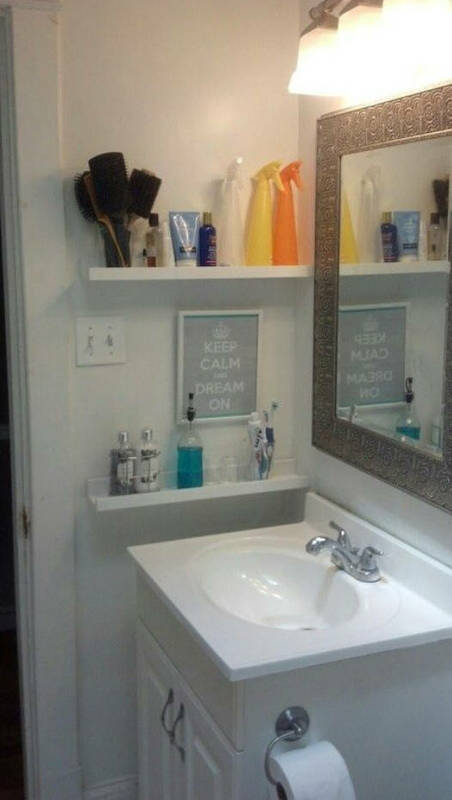 Moreover, your clothes will never be crumpled. 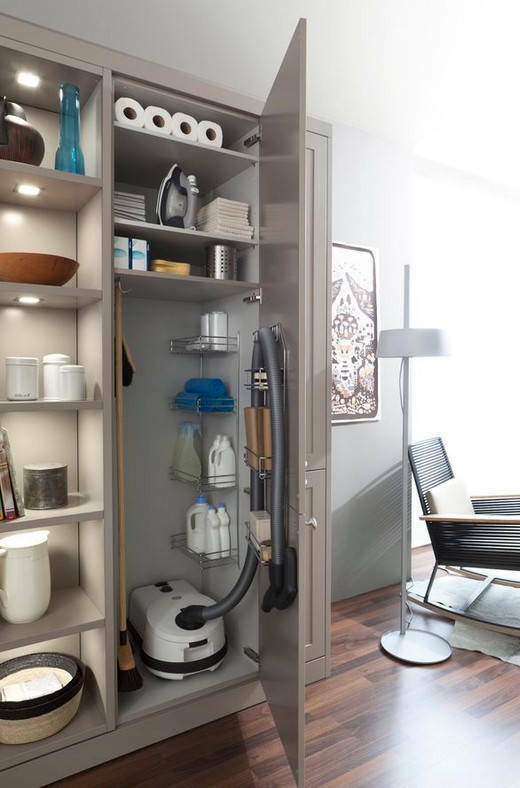 Vacuum cleaner, detergents, and other small items can be stored in one small locker. 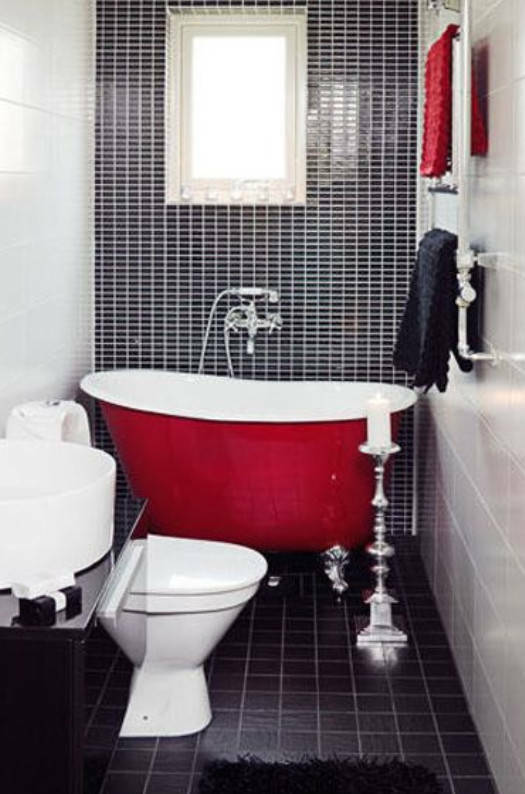 A small niche on the balcony does not take up much space and will help hide various trifles. 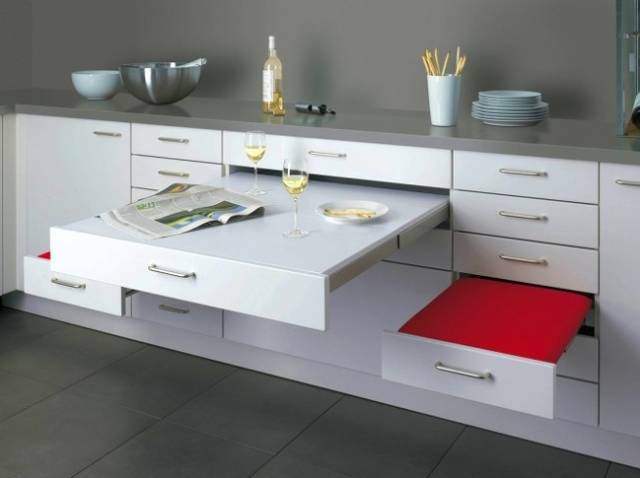 A table-picture will decorate your kitchen and make it more spacious. 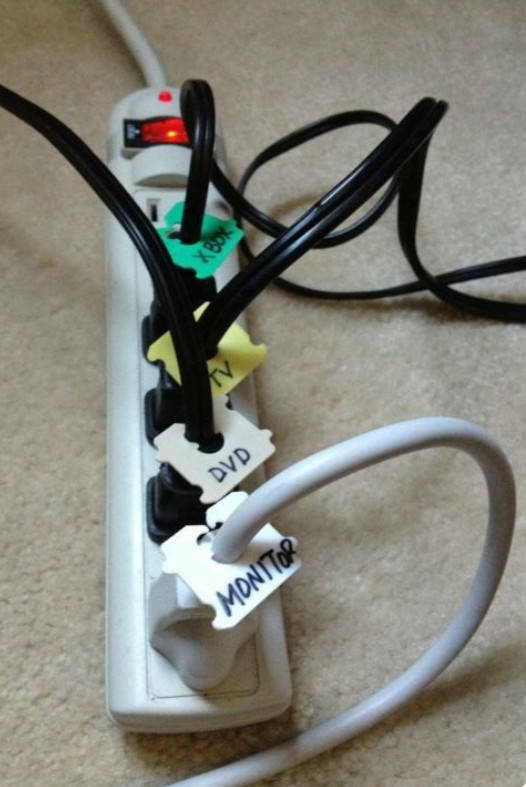 Mark all the wires in order to prevent accidentally pulling the wire from the Xbox during the game. 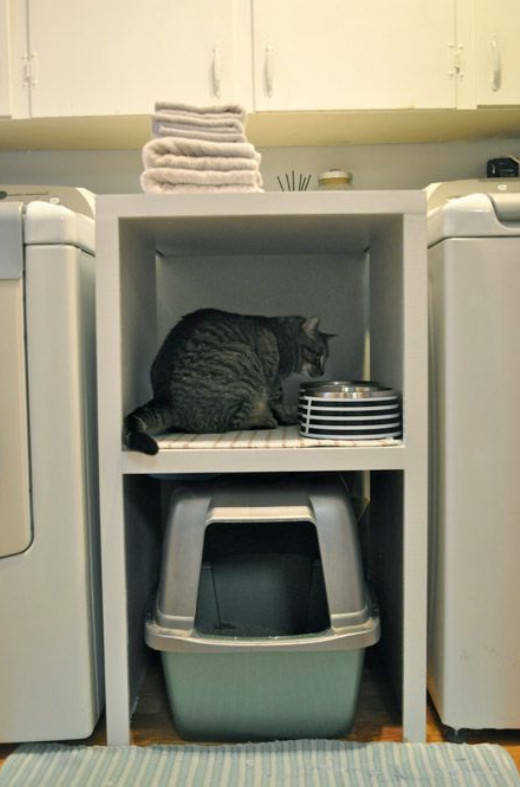 Your pet will have a 2-story palace that does not take up much space.